Monday April 22, 2019 6:30 PM Join us each month as we discuss the books that are making their way to TV and movies. All are welcome! 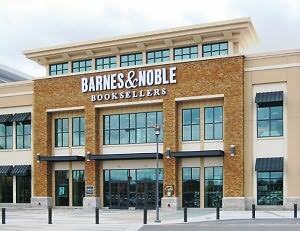 Ask a bookseller for details or follow us on Instagram @BNChristiana to find out what we are currently reading. Tuesday April 23, 2019 7:00 PM Join our Science Fiction & Fantasy Group for out-of-this-world book discussions! This group explores both elements of the genre and is open to all ages. Ask a bookseller for details or follow us on Instagram @BNChristiana to find out what we are currently read. Thursday April 25, 2019 6:30 PM Join us every Thursday for our weekly game night. All are welcome at this popular event. With hundreds of games to choose from there is something for everyone at game night. We also have a full line of demo games available in the Café for you to play anytime. Ask a bookseller for details. Thursday April 25, 2019 6:30 PM Join our longest running book group for a deep dive into one of our most popular departments. This group explores all styles, subgenre, and themes in romance books. This group is for mature readers. #YOWZA Ask a bookseller for details or follow us on Instagram to find out what we are currently reading. Friday April 26, 2019 6:30 PM The LGBTQA+ book group gets together monthly to discuss queer fiction, and non-fiction books. All are welcome to attend. Ask a bookseller for details or follow us on Instagram to find out what we are currently reading. Saturday April 27, 2019 10:30 AM Michelle will be signing her funny and educational book, 101 Boobilicious MOMents. A book that offers support and solidarity to breastfeeding moms. Wednesday May 01, 2019 7:00 PM This thoughtful book group alternates discussing books of fiction and non-fiction. All are welcome! Ask a bookseller for details or follow us on Instagram to find out what we are currently reading.